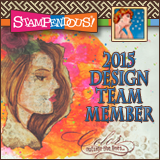 Stampendous is now carrying Laurel Burch line of stamps and the Stampendous Design Team has a bunch to show you this week. The Laurel Burch style is vibrant, primary colors which is beautiful and I love looking at her fun and creative creations. Primary colors aren't my specialty and this is about as primary as I can get. 1. 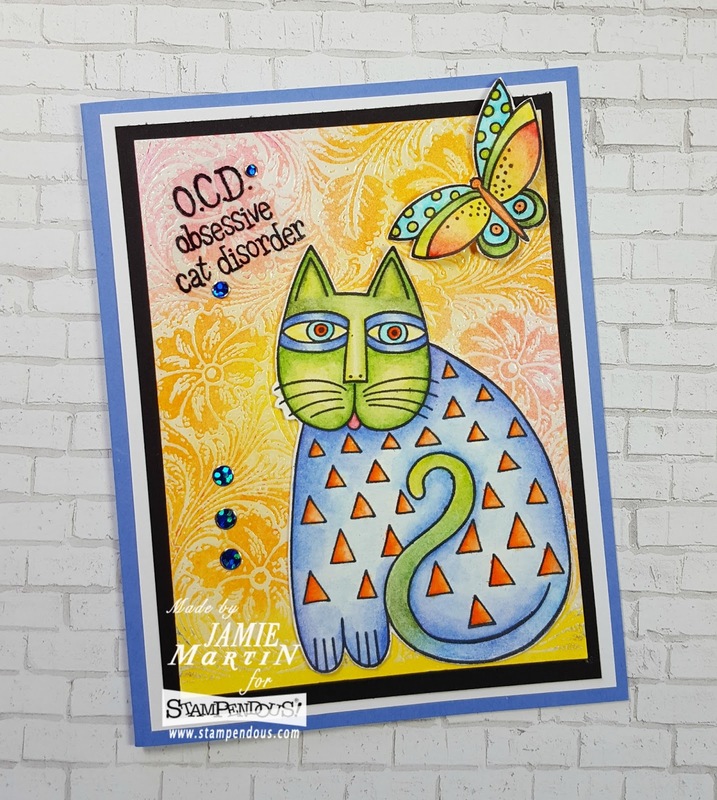 The cat and butterfly from the Cling Indigo Cats Set, are colored with Staedtler Watercolor Pencils and matching die from the Indigo Cats Die Set were used to cut them out. 2. To make the background, Leather Flowers was stamped on watercolor paper with VersaMark Ink and embossed with clear embossing powder. Different colors of Gelato's were scribbled on the flowers. 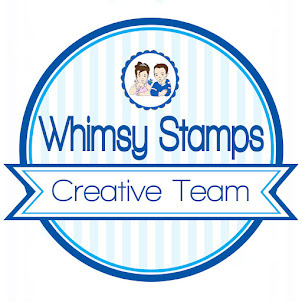 A baby wipe was used to spread the color and a dry paper towel was wiped across the top to remove any remaining Gelato's from the embossing powder.This was glued to a larger black and white panels then glued to a blue card. Set aside. 3. The sentiment from Cat Sayings Perfectly Clear Set was stamped on acetate with black StazOn Ink then cut out. 4. The diecut pieces were glued to the card with Zip Dry Glue and the sentiment was attached to the card with Blue Dot Sparklers. Additional Dot Sparklers were placed down the left side of the card. 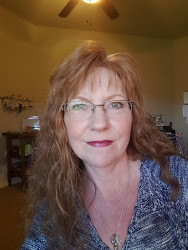 Love the softer yet still vibrant colors you used! Beautiful card! TFS! 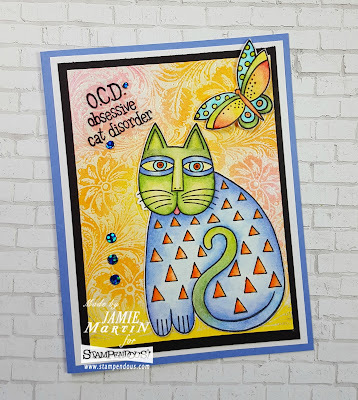 It's intriguing to see how well Laurel's stamps adapt to softer colors. Lovely card. 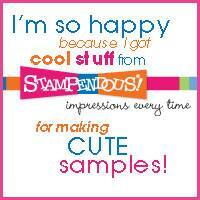 Your lovely background is perfect for these fun stamps! Oh wow! I absolutely love the coloring that you used on this. So beautiful. Great background too. Love your card. These stamps are gorgeous and I like the background too.The quote is quite appropriate for me too.